I love coffee. I love to try coffee in new and exciting ways. In fact, I collect various coffee brewing mechanisms. After working for St. Arbucks for a short time, I quickly became aware of the various taste and personality profiles of customers. This is only an attribute of who we are as people: we like different things and we experience the world in different ways. Dang, that's some good looking espresso. 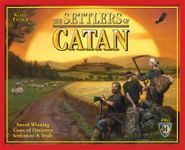 I was having a conversation recently with my wife regarding board games, their accessibility, and players' taste. We soon found ourselves drawing comparisons to how various games are like different kinds of coffee. So, I present to you the results of our discussion. Some of the criteria compared are exposure, flavor profile, bells and whistles, rarity, and hype. I should note that my wife disagrees with some of these comparisons. So, you might feel the same way. Feel free to disagree and to give what you feel is a better comparison. Also, feel free to add your own comparisons. There has not been nearly enough grounds put into that percolator, and perhaps for the sake of saving money, they are the same grounds that were used last Sunday. Not only are the grounds insufficient, they are generally of the cheapest quality possible. These problems are compounded with the fact that the percolator is set up to keep that coffee boiling for hours on end. The end result has all the minimum requirements to be considered coffee: hot, dark brown, liquid, bitter. For those brave, young souls willing to attempt to consume the beverage of the ancients, a whole bunch of sugar and powdered, artificial creamer need to be added to the styrofoam cup of dark liquid before it can even be sipped. Candy Land is often the first experience that an individual has with a board game. For most gamers, it is hardly worth your time to play. When you do play it (without the purpose of introducing it to a 3-year-old) it leaves you feeling empty inside. It doesn't quite hit the spot like it might have when you were three. Like the church coffee, it meets the minimum requirements: board, player pieces, mechanism for moving player pieces, end goal for victory. That sugar slurry is mixed with hot water on the spot, the moment you press that button. It is a joyous experience watching that kid fill his 24 ounce cup with a caffeine/sugar bomb (or if you are the parent of that kid, it will be a less than joyous experience). Look, I like Risk for what it is. I loved it as a teenager, and would spend hours upon hours playing it with siblings and cousins at family gatherings. Those metal minis in the 40th anniversary edition were so cool. It has the excitement of player interaction and chance. It gave me the opportunity to torpedo my brother's armies whenever he ticked me off (yes, I was sometimes that player). But this brings me to the reason why I compare it to gas station cappuccino. It tastes oh so sweet at first and gives a rush of excitement, but in the end, it falls flat. Either people end up wanting something a bit more mature/complex or they swear off gaming from getting torpedoed too many times. For many of us there came a point where we stepped up from the things of our youth and tried something a bit more grown-up. There is a gateway to a more discriminating palate in the coffee beverage world, and I will argue that it is the vanilla latte. Yes, there is vanilla in that latte, but perhaps you have been distracted by the foam art and couldn't see it. The vanilla latte appeals to those who need some sweetness to counter the bitterness of the espresso, and it has the milk to counter the acidity. It delivers in caffeine content and leaves you satisfied. There is a reason they call them gateway games. It has some of the chance and interaction of childhood games, but they step up the depth and strategy to a new level. Like most eurogames they work like a well oiled machine, but they have a bit more heart than the tin man. They have the kind of appeal that makes you want to come back for more. Arguably any so called gateway game could be compared to the vanilla latte. Occasionally people want to test the limits, to see just how much can be crammed into a cup. I relate this to those games with a ton of chrome. Some games just have a load of stuff going on, and they come with loads of bits and minis in the box. Not only might it have lots of stuff in the box, but it will likely have multiple levels of game mechanics going on. This kind of complexity is overwhelming for many. Some choose to look down their noses at such games and call them by dirty names. It can be easy to accuse such games of substituting chrome for elegance. TI3 is in some ways a poster child for Ameritrash. As much as some may bash it for its over-complexity, there are plenty of people who love it. Ah, yes. The simplicity. The depth. The difficulty to master. If you think I'm talking about espresso, you are wrong. This is where it all began. The coffee plant may have originated in east Africa, but the preparation and consumption of coffee as we know it really got going in the Arabian peninsula. The methods used were quite like that of today's turkish coffee. Hey, if you are Greek, you might call it greek coffee, but to much of the world it is turkish. Look at that pour. That's right, 100% unfiltered. You've got to take it slow when drinking a cup of turkish coffee. Not only is it strong, but if you drink all the way to the bottom of the cup, you are going to get a mouth full of fine grounds. 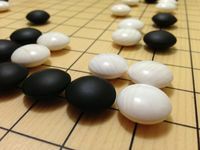 Is Go the oldest game in the database? I think it might be. Mechanically, it is incredibly simple. At face value it looks really easy, but for anyone who has tried to learn it, it is anything but easy. Like turkish coffee, it nearly killed me when I first tried it. What a potent game of pure strategy. What is the rarest, most expensive coffee in the world? I don't know. However, many would say that it is Kopi Luwak. Lu-what? There are some games out there, not many mind you, that have no more appeal than their rarity. 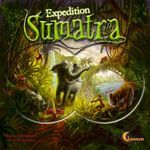 Perhaps they were made to be rare, but like our friend Jati, they are rare because they weren't that great of a game and didn't actually make it into full production. The gotta have 'em all mentality drives people into paying a bunch of money for a game that really is lacking in quality or is perhaps more of a gimmick. That's right, Nescafé. You put some in your travel mug to combine with the free hot water at the gas station on your way to work, and you are set for the day. Not much to it. It's really not much better than church coffee, but at least you are in control. You get to choose your coffee to water ratio and what to add to it. It does the job and that's about it. 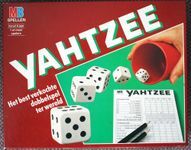 LCR was a good suggestion for a comparison to Nescafé (or other instant coffees for that matter), but I feel that a game like Yahtzee is more applicable for its broad appeal. Whose grandma doesn't have a copy of Yahtzee in the closet and a jar of Nescafé in the kitchen pantry? (hyperbole, I know) Yahtzee is interesting because, to a degree, it gives you a sense of control. You do get to choose the dice to hold on to. However, that sense of control is entirely deceiving because you are held captive to the luck of the roll. There really is no interaction with other players or any depth or character to the game. It's just a rush to the finish line similar to your rush to get your coffee into your system as you drive to work. It is an instagame. Sumatra Blue Lintong - black, Swiss press method, 6 oz. cup. It is refined, simple, filtered, systematically produced. It is coffee at its essence, extracted in a simple, engaging, consumable form. Of course it is unadulterated to the point that it doesn't appeal to some. It is Espresso. That's right, just espresso in a tiny cup. Single? Double? Triple??? The espresso machine has extracted the heart of the coffee bean and put it into your demitasse cup. Yinsh, the GIPF project, and other abstract games find a minimal number of game mechanics and work them to create a beautiful system. There is no pasted on theme to distract you from the heart of the game. Its refined nature is both its appeal and its downside. It all depends on who you are as a gamer. Winter may be coming, but there are some drinks that make you feel like summer. They are fun and refreshing. There may be coffee in there, but you'll hardly notice it. But hey, the caffeine/coffee content isn't why you are drinking it anyway. I'm talking about something like an Orange Mocha Frappuccino. As one who has worked in the trenches, slinging Frappuccinos during Frappuccino happy hour, I can honestly say that when the weather warms up the masses can't get enough diabetes in a cup. These are the crowd pleasers. Time's up gets people to interact and act silly. People need to work together and laughs are had by all. Wait a second... You say you hate acting and being the center of attention? Well, too bad, everyone else likes to do that and you are a party pooper. Oh well, you can't win 'em all. The chocolate covered roasted coffee bean! Not commonplace, these really take an interesting approach to caffeine delivery. Essentially skipping the brewing portion and going straight for the sugar/bitter mix seems to work. Like RftG, it will be something you like or you don't, and like RftG it is better in small quantities but repeated consumption. A European classic. Once again, a study of simplicity and control. However this is much more approachable than Espresso. You can explore the subtle characteristics of your favorite single origin coffee quite easily with this method. That's right, the Moka Pot. It'll brew up a potent cup of coffee by pushing pressurized steam through the grounds somewhat like an espresso machine. You can expect a consistent experience every time you use it. As it is, there aren't many bells and whistles to coffee made this way, but you can always add some cream and sugar. As I thought about this, I felt like you could insert any Feld game here. So, why not use Castles of Burgundy as a prime example. Classic Euro. Consistent experience that provides choices and control. CoB may not be the best example, but many Euros are supplemented with add-ons and replacement bit to give some personal flair. So, you aren't interested in unique brewing methods? Perhaps the subtle flavor profiles of fine coffees don't interest you. I understand. You want to feel the rush as that caffeine hits your veins. It is adventure fuel. The can says it all. Coffee + Energy. Pure energy to get you pumped up. Some games are just dripping with theme. Some games are little more than theme. In Tales of the Arabian Nights you can go on some crazy adventures, but sometimes it seems like the game is suddenly over as your story is just unfolding (unless you are playing to sultan). But, hey, this is about the fun of the theme. Don't think too much about srategizing with this one.